Bring brilliance to your image. I've been in between a lately. In between schools, towns, in between two chapters of my life. 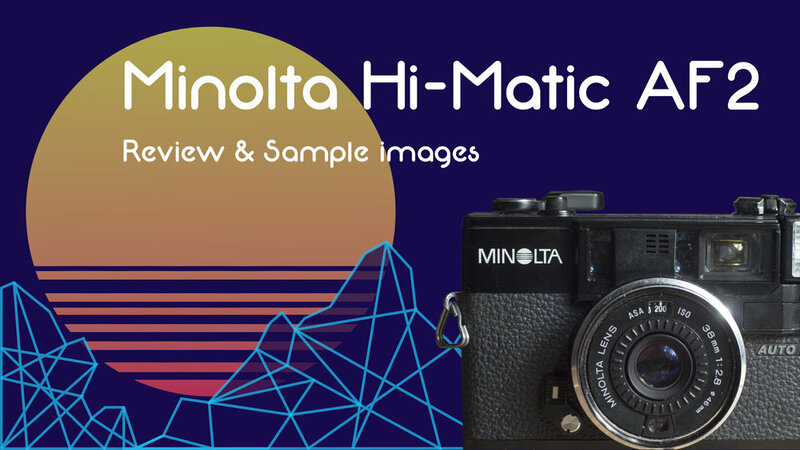 Fittingly the Minolta Hi-Matic AF2 is a very "in-between" camera. Recently while browsing through a Facebook sales group within the pages upon pages of baby clothes and old china sets I spotted something interesting. The next day I was driving home with my new prize, an old Minolta camera. And after some cleaning and a fresh set of batteries I was rewarded with a wonderful functioning camera. I'm not going to lie, the design of this camera is not exactly the most modern or vintage. In the hand, it feels very good, nowhere near as nice as a Leica, but it doesn't need to be. It is mostly made of plastic however it is very light and solid. Since there are not many controls there isn't much to complain about. The self-timer lever is placed in a pretty standard spot (on the front next to the lens) and the iso is changeable via a dial around the lens. One of my few gripes is with the viewfinder, it's bright and large enough, but there is no parallax correction, and your settings are not displayed (which can be a bit offputting to those used to shooting manually). Over-all the design is understated and minimalist, and clean. The way the metering system is designed actually presents another upside to the camera. The electronic "eye" that takes light measurements is right on the lens front, so whatever filter you put on it will meter with it accordingly. In every camera review, there is always one topic discussed above all else, an "elephant in the room" so to speak, and it is image quality. This camera was considered a premium point-and-shoot in its heyday, and has the image quality to back it up too! The photographs have a very nostalgic and rich feel to them. In my opinion, the lens renders slightly warmer and more contrasty tones, and many of the pictures have a very "street" or reportage feel, most likely due to the camera's circuits mainly controlling exposure my closing down the aperture. But here are some of the images I've taken to judge for yourself how well it performs. This little plastic beauty features a f/2.8 38mm lens with a 46mm filter thread, it's sharp and not too wide or tight. It also runs off of the very convenient AA batteries, two of them to be specific. The AF utilizes an infrared system, it bounces and infrared beam and uses that to detect the distance from the subject. The only real disappointment with this camera is that there is no hot or cold shoe to be found, it's even barren of a pc sync port! Although you can use the on-camera pop-up flash to trigger off camera flashes in slave mode, using anything but the built-in flash will be inconvenient. Overall for the price of between $70-120 I'd say there is fairly good value. As far as point and shoot film cameras go, the Minolta goes above and beyond in terms of usability, its autofocus, and auto exposure system is unrivaled at its price point. Is it the best point and shoot film camera? No. There are many better contenders from the era and class such as the Nikon 30LF, and high-end cameras such as the Yashica T4, Contax G2, and T2, far outpace this camera. After using this camera for a few months, I can definitely say that this is a well made and fun offering for those who want to shoot film without lugging around a huge camera or dealing with manual controls. However, for the veteran film camera user, the lack of any manual controls, including exposure compensation, may leave them wanting more. For me, the lack of control almost feels like a trade-off for the compact nature and price point of this camera. Personally, I have always been a control freak with my cameras, even when my daily driver was the amazing Canon A-1, I would always be thankful that even in full program mode, the settings were constantly displayed in the viewfinder, so I could double check the settings that the camera had picked. Unfortunately none of this convenience that gave me peace of mind when using the A-1 exists on the Minolta, so, for now, I will stick to my beloved Canonet QL 17 for a compact film option. If you prefer to watch videos, check out my video review of the Holga 120S! Alright, now on to the in depth review! Okay so if you've gone through the trouble to find this blog post and skipped the video (or better yet already seen it) you want to know what is all the fuss about this camera. The Holga 120S is a unique toy camera. This camera is one of a kind, every image is very different from the next. This particular camera appeals to a subset of photographers called "lomographers". Lomography is a style of pop photography based around quirky cameras. So what is a Holga anyways? It came from China and went around the world. In 1982 a company in China began producing the Holga camera, it was originally only intended for the low end Chinese camera market. But today it has attained cult classic status. I believe that it can be a great camera so introduce photography to beginners, or bring a spark of lo-fi inspiration to even season photo veterans. Despite it's humble beginings and unassuming looks, there's a reason this camera has been dubbed the, "plastic fantastic". So how do the pictures look? The photos that come out of a Holga are really one of a kind, you really can't quite reproduce it with a simple Instagram filter of digital effect. There is the ever present vignette which to some is ugly and distracting but to the many fans of the "lo-fi" look it is nostalgic and interesting. DP Review phrases it nicely stating in their review, "characteristic vignetting focuses the viewer's eye and adds to visual impact". Unlike many other toy cameras, like the popular Diana F+ and Lomo Lubitel, the Holga lens makes really sharp images in the right conditions, mainly bright sunlight. Although the camera has frequent light leeks and film burn throughs that is part of the ultimate looks of the images, and a coveted features for many lomographers. 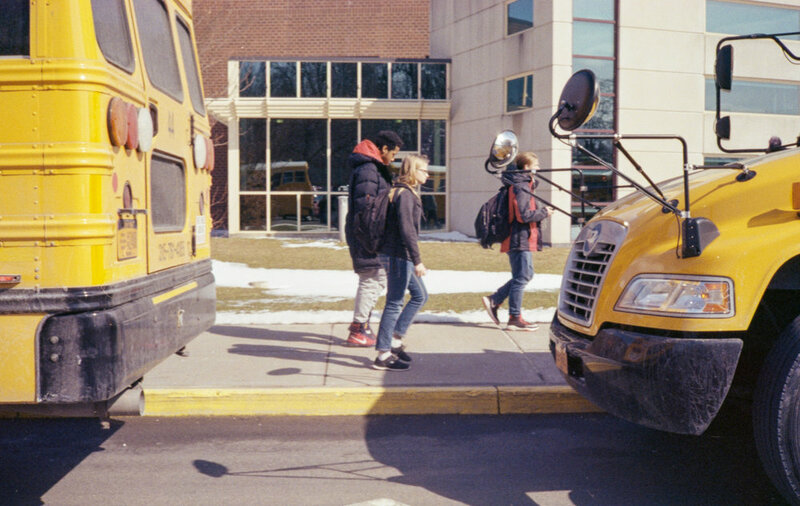 Here's a gallery of images I took on my 120S and Lomography 100 speed color film. But isn't super cheap and plasticky? If you really want a camera thats so light you'll forget that its there, this is the one for you! However if you area bit rough with your equipment this camera can come apart easily. 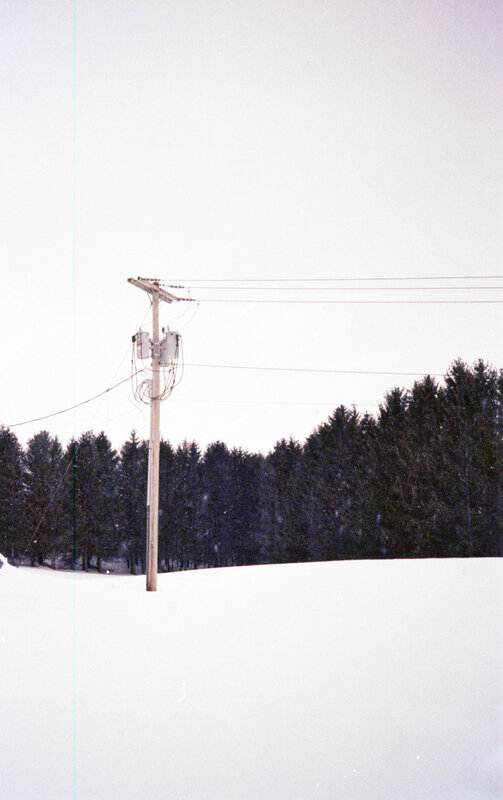 As the Lomography.com staff review puts it, "the Holga is extremely lightweight and fuss-free". It is important to remeber that even though everything on this camera is plastic, even the freaking lens, its not exactly exspensive. If you might constantly regret not taking a "higher quality" camera when you go out to shoot, frankly, this camera isn't meant for you. This is where the catch is right? A cool vintage film camera for hipsters has got to be overpriced right? Actually this camera can be had for only $25-$35. At this point there is really no reason not to give it a try! This is one of the very few toy cameras that is currently sold at a price that doesn't feel like your getting gouged. You get what you pay for, and in this case it's a rather fun toy camera! The Holga cameras feel very raw and ungentrified, with their cheap build lo-fi images and low price to match. All in all it's very easy to enjoy shooting when your using this camera, and that's something that we seem to forget today, when we have high tech Sony cameras with 45 megapixels, and AR dual phone cameras, we forget to have fun sometimes... and nothing is more fun than using this little toy camera! I've been on hiatus lately. My next to new Yashicamat. And by hiatus I mean completely absent for nearly 8 months, yeah sorry about that. But I wasn't just gorging on Hotpockets™ all this time, in fact I've been doing a lot in this time. I have decided to sell my beloved Fuji X-Pro 2, not because it was a bad camera, because I needed to get back to basics, it wasn't necessarily furthering my photography. I just ended up producing the same old images over and over again, so I sold it and bought several amazing and cool film cameras. That's right I've joined the ranks of analog photogs, and it's kinda great! I now am the proud owner, of a Yashicamat 124g, Canon A-1, Holga 120N, and a custom modified Polaroid Land 450 (more posts on those guys later). I have been shooting with them vigorously and I am finally starting to see the progression in my skills that I was always looking for. I first began my photography journey when my dad gave me his old Canon A-1 with a roll of Kodak Gold film, and the rest is no-so-ancient history. So in a way returning back to film feels right for me. I enjoy the tactile and physical process. However I am returning to film, with new wisdom, and I am shooting a wide variety of film stocks and cameras now. My favorite so far is the exception quality of the Yashica, but I did have a fun time using the Holga, and getting some interesting results from the world of Lomography. I'll make future blog posts about my experiences with these unique cameras. I think that most of progression comes from a renewed sense of purpose with some familiarity. I'm coming back full circle to where I started, but I'm putting a fresh new spin on it so I don't feel like I'm going in circles. Long post short, I'm back baby! You may have noticed the website design has changes, and no it's not because I've been hacked by the illuminati... yet. I want to focus more now on providing awesome content, for all you casual photo geeks and low-key hipsters alike (you guys know who you are). Anyways expect more cool content incoming!